When Australia bankrolled undersea internet cables for its Pacific neighbours, it shut out a competing offer from Chinese telecom giant Huawei Technologies. But the strategic move to spend $91 million connecting Sydney with Papua New Guinea and the Solomon Islands via cables in the Coral Sea has perplexed many Australians, who must deal with home internet speeds that are among the slowest in the developed world. On Norfolk Island, a verdant Australian speck in the South Pacific, where a connection to a cable 90 kilometres away would cost just $15 million, Canberra's decision to skip the project is galling. "The amount of money that we're talking about for the Solomons and PNG cables is about ten-fold what it would have cost to connect Norfolk," Brett Sanderson, president of Norfolk Island People for Democracy, an activist group, told Reuters. Funding for the Coral Sea links comes from Australia's $1.3 billion Pacific aid budget, separate from what is set aside for domestic infrastructure projects like broadband internet. "If it's good enough for these other countries, why is it not good enough for territories that Australia claims as its own?" Sanderson said. "It's a huge disappointment," said Alison Baker, who runs a guesthouse in the popular tourist hamlet of Kangaroo Valley, 115 kilometres south of Sydney. She said she cannot offer internet service for her guests because even her own slow connection costs more than $250 per month. 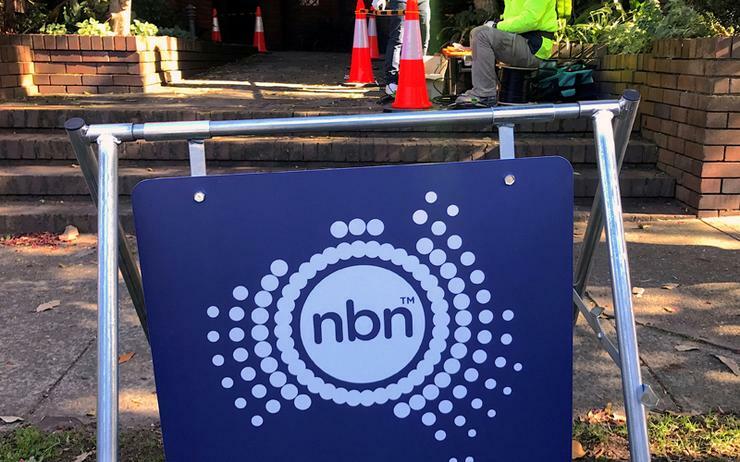 A spokesman for the government-owned NBN said it was not economical to expand the fibre network, designed to connect eight million homes. "The cost per premise per connection would be even higher and this would put pressure on our A$49 billion peak funding," said Tony Brown, executive manager for corporate media at NBN. Australia's promise to help pay for the Coral Sea cables, which will be laid by Nokia Oyj's Alcatel Submarine Networks and operated by Vocus Group, came after the Solomons agreed to a deal with Huawei in mid-2017. Within months, Australia had established a subsea cabling division in its foreign office and said it would not allow the Solomons cable to connect in Australia. That upended the project, said Keir Preedy, chief executive of its developer, the government-owned Solomon Island Submarine Cable Company. "I hoped Australia would make us an offer to compensate, but frankly I was surprised at how good it was," Preedy said. "It was obviously designed at the outset to be the kind of deal that you really say: 'Where do we sign up?'" Australia characterises the new project as part of an "enduring commitment" to the region. "We've been scrambling," he said, adding that his company had asked the Australian government for help. Australia is "willing to explore options for support," said a spokesman for the Department of Foreign Affairs and Trade. "It's been too long; we are desperate for it right now," said Edmund Losi, information and communications technology manager at the University of the South Pacific's Honiara campus. "The relationship with Australia is important for the government and politicians, but we don't care really," he said. "If it can be done sooner with China, then come on, China."